Home Science Energy Climate deniers, you're climate deniers – deal with it. The genial, soft-spoken, longtime Washington political operative was part of Team Trump’s EPA transition team and formerly headed the Cooler Heads Coalition, a consortium of conservative and libertarian groups strongly opposed to action on climate change. All of which brings us to the pioneers of denial study, Sigmund and Anna Freud. The elder Freud first wrote about denial as a psychological defense mechanism more than a century ago. 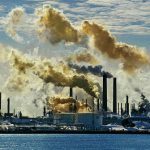 The behaviors they wrote about so long ago are a near-perfect match for modern-day climate denial—some rejecting the evidence outright, some grudgingly admitting the problem while scrambling to avoid addressing it, some seeking to mis-assign blame. Sorry, boys, whether you embrace or dispute the label, you’re deniers. And you need to be called such. The real failing in this unfortunate and distractive debate is that it ignores the Freudian ground rules for defining denial, and largely misses the point. Another particularly unwieldy AP-approved phrase for deniers is “those who reject mainstream climate science.” AP’s staff memo announcing the change cites the offense taken by some over the false association with Holocaust deniers, but it makes no effort to define what constitutes psychological denial. Nor does it recognize that climate denial extends beyond rejecting climate science, which it does. Neither Ebell nor Milloy—nor myself, for that matter—have climate science credentials. But Ebell and Milloy make it clear that they’re highly motivated to counter the perceived threat of environmentalists taking over the world (and how’s that going?). Their denial spans both the science and policy ends of the issue. They’re proof that defining climate denial as simply being about the science is wrong. Freudian fingerprints are all over modern climate denial. 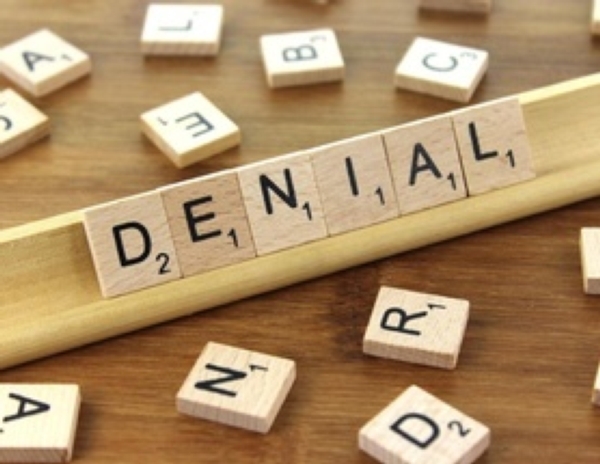 Simple Denial and its associated defense mechanisms—notably minimization and blame shifting—are reflected in both science denial and policy denial. The Freuds’ Simple Denial is mostly about the science, and outright denying the unpleasant truth, whether it’s Senator Inhofe authoring a book called “The Greatest Hoax,” or President Trump authoring a more concise tweet on the same theme. A perfect example of climate denial through minimization is the controversial economist Bjorn Lomborg. He acknowledges that humans are influencing the climate, but bemoans the costs of remedies. Lomborg also regularly diverts attention to other global issues, arguing that poverty and access to safe food and drinking water need to be addressed before climate action is even considered. Through minimization, Lomborg pays lip service to the integrity of climate science, then changes the subject and cites more pressing problems. Several of President Trump’s cabinet appointees also took the minimization route. New Secretary of State Rex Tillerson just wrapped up a 41-year career at ExxonMobil, the last decade as its CEO. Tillerson has acknowledged climate change for many years, but his company funded denial-based think tanks and scientists, all while Exxon’s own internal science affirming climate impacts was deep-sixed. Ryan Zinke and Scott Pruitt, Trump’s respective picks to lead Interior and EPA, both took the soft-denial route, but raising acknowledging a changing climate but raising doubts about human impacts on climate. As Oklahoma Attorney General, Pruitt led the legal charge against EPA’s plans to limit greenhouse gas emissions. Now, he’ll run EPA, as climate information is scrubbed from government websites amid open speculation that climate science at NOAA, NASA, DOE, EPA and other agencies will go into cold shutdown. Blame Shifting is the term for acknowledging a problem or personal flaw, but assigning blame elsewhere. 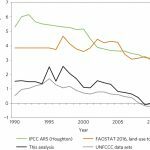 Rather than contest the avalanche of data confirming human-influenced changes –rising CO2 levels, temperatures and seas, acidifying oceans, more erratic and severe weather patterns – the British-based denial group Global Warming Policy Foundation finds something else to blame for it all: Sunspots. 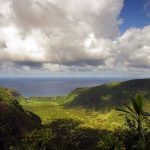 While some scientists have found potential links between climatic change and solar activity, blaming climate change on sunspots is well outside the scientific norm. This is the climate equivalent of O.J. Simpson acknowledging his wife’s death, then vowing to find the Real Killer. Another climate-related issue blame shifting runs rampant is in the laying of blame for the demise of the American coal industry. Mining jobs have been in free fall since the 1980’s, largely due to rapaciously efficient, highly mechanized mining techniques like mountaintop removal. In the past decade, cheap natural gas has underbid the cost of coal, with many electric utilities shuttering their coal plants. But in 2009, the West Virginia Chamber of Commerce popularized the phrase “War On Coal” and shifted the blame to President Obama and the Democrats. Since then, both houses of West Virginia’s legislature slipped from decades of Democratic control, and only two statewide Democratic officials remain: Coal-boosting Senator Joe Manchin, and the newly-elected Governor, coal billionaire Jim Justice. But this doesn’t represent the climate community. Outliers on both sides absurdly play the Hitler card, like the Heartland Institute’s ill-conceived billboards likening climate activists to the Führer, Osama bin Laden and the Unabomber. Climate denial is alive and well at the highest levels of government. It’s enabled by many in the media. It’s still funded by ideological and business interests threatened by a future demise of fossil fuels. It was doing great harm even before it captured both ends of Pennsylvania Avenue. Journalists, scientists and others aren’t acting responsibly when they fail to call climate denial by its right name. Those who say they accept the overwhelming consensus on climate science but concoct reasons to ignore the problem are still deniers. The Freuds defined the terms. Not advocates. Not students of Hitler. Not the AP. Elsewhere in American politics, journalists are rising up against the Trump Administration’s relentless emission of allegations without proof, improvised statistics and outright delusionary statements. “Lies” and “Lying” are now among the harsh but common nouns and verbs applied to White House officials. “Denier” is no more harsh and no less accurate. The popular denial meme of a few years ago, “I am not a scientist,” applies to me too. But the Freuds’ teachings are very clear, and I know a denier when I see one. Previous articleWant to cut carbon emissions? Try growing cement bricks with bacteria.